The Vitalclass Lanzarote Sports & Wellness Resort is a 4-star family-friendly property situated in the laid-back resort of Costa Teguise. 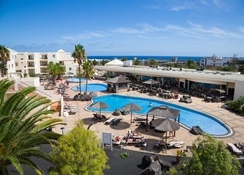 Just 900m from the sheltered Playa Bastian Beach and close to the surrounding resort's tourist attractions, Vitaclass Lanzarote Sports Wellness Resort offers a luxurious stay to families, friends and couples alike. The hotel boasts spacious and comfortable rooms, with Junior Suites and Family Suites to choose from, and in-house features include a large outdoor pool with loungers and parasols, a kid's paddle pool, fitness centre, excellent sport facilities, a spa with a sauna, whirlpool, hydrothermal area, steam bath and a fine-dining restaurant and two bars. There's plenty of entertainment outside of Vitalclass Lanzarote, with a plethora or exciting watersports, sightseeing and dining options in the resort – or head to the Centro Comercial Las Cucharas shopping centre for a spot of retail therapy. 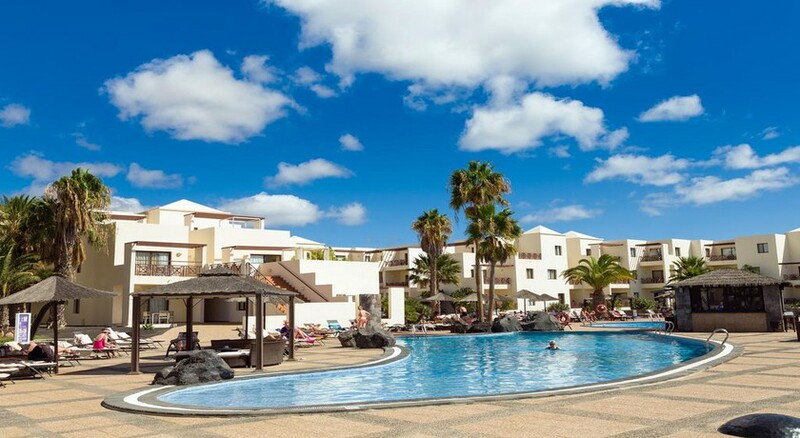 The Vitalclass Lanzarote Sports Wellness Resort is located in Costa Teguise, to the northeast of Arrecife, Lanzarote. While the sea is close to the resort at 500m, the main beach is 2.5km away. Arrecife beach, considered a haven with thrilling watersports including windsurfing, kitesurfing, sailing, scuba diving and fishing— is 9.2km away. Golfers can tee off at the lovely Costa Teguise Golf Club which is 3.8km form the hotel. As the resort is only 12.2km from the Lanzarote Airport, guests can board their flights on time without any hassle. The Vitalclass Lanzarote Sports Wellness Resort features 150 well-furnished modern rooms available in three categories namely Junior Suite, Suite 2 Bedrooms and Family Suite. The rooms are chic and modern, customised to offer luxury and comfort. 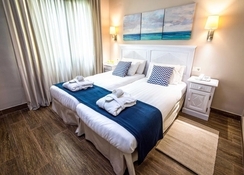 Most feature twin beds with added amenities such as air conditioning, en-suites and a hairdryer, living room with sofa and table, kitchenette with dining table, electric kettle, coffee maker, fridge, TV with satellite, DVD player, Wi-Fi internet and more. The balconies offer amazing views of the pool area, garden and the neighbourhood depending on which one you choose. Rooms are cleaned six days a week and towels and linens are changed when needed/requested. La Carabella is the main buffet restaurant at the resort, which serves breakfast, lunch and dinner. Breakfast is continental with plenty of hot and cold items on offer; however, at lunch and dinner the restaurant serves international items with selected alcoholic drinks on the spread. During special nights, the restaurant also serves Canarian cuisine and fresh seafood dishes. In addition, the Pool Bar-Snack Bar serves a wide collection of drinks, including beers, cocktails, wines, mocktails and other premium and local specialities at the pool side. If you want to enjoy some fantastic nightly entertainment and animated musical shows, while enjoying a great variety of drinks, then the Disco Bar is the right place to be- in the night. The Vitalclass Lanzarote Sports Wellness Resort houses a large outdoor swimming pool surrounded by sun loungers and parasols — there is also a kid’s paddle pool to make the most of. The wellness centre comes equipped with an indoor swimming pool, sauna, whirlpool, hydrothermal area, steam bath, ice cabin, Scottish shower, water beds, jet pressure and more. It also offers a wide list of beauty and therapeutic messages, perfect if you're looking to unwind. A well-equipped fitness centre is provided to guests, alongside unique training camp packages, scuba diving lessons in the pool, and golf packages. Kids too can have a lot of fun in the mini club and the playground with activities like mini disco, outdoor activities, workshops and didactic games. Get dressed up for the Gala evenings or visit the in-house disco for grooving to some trendy beats. Hubby and I booked 7 nights B&B at the Vital Class Hotel in Costa Teguise through teletext holidays, in October 2017. We stayed in a junior suite, which was great, large bedroom and bathroom, kitchen, lounge/dining area and a balcony. Plenty of room and beds at the Pool area, towels provided and bar for drinks and snacks. Spa on site is worth a visit. Great location with some lovely restaurants and bars close buy. Short walk into the town centre where there were plenty of shops, bars and restaurants. Possibly looking to go again later in the year.